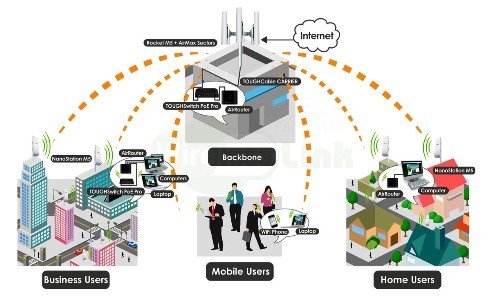 Wireless and RFID systems is the way of the future. Being the most innovative and the latest identification and tracking solutions for many industries, this digital solution has been preferred by various organizations belonging to many different sectors too. Integrate this with your existing information systems and you are guaranteed to be benefitted by the efficiency and effectiveness this IT solution has to bring. Digital Eye Technologies offer multi-faceted solutions for different industries with the help of Wireless and RFID. This technological implement is intended to complement an organization’s existing IT infrastructure, also facilitating its effectiveness and efficiency. Accurate and Real-Time Information System. Wireless and RFID provide for means to communicate and integrate information right away– the transmission of important information is done instantaneously, resulting to better information systems as well. RFID and Wireless systems allows for better work efficiency– the system works as a speedy precedent to your administrative works and files management, and everything else that require the utilization of your organization’s information. With this, an increased productivity is an expected outcome. Reduce Information Errors and Administrative Processes. While the conventional file and record keeping may be considered as effective means to store your organization’s information, the same means may be more prone to errors, not mentioning the amount of time you will need to access the information thereon as you need. With RFID and Wireless technologies though, your bunch of papers and paperwork becomes a thing of the past. Cost-Efficient. Our Wireless and RFID Solutions are cost-efficient. Apart from being an affordable digital solution, this also brings about a whole lot of benefits in the long run; thus, making it an excellent digital strategy for those who intend to maximize the benefits of their investments. Get in touch with us to know more about our RFID and Wireless digital solutions!